Great to see “Not Dark Yet” get the acknowledgement it deserves. Wonderful song, beautiful production, perfect vocal and the band nails it. In my view, the best song recorded by anyone, ever. Kommer dere på “Bob Dylan 75 år” på Parkteateret 24. mai får dere høre versjoner av både Not dark Yet og Red River Shore. My late vote would be for Born in Time, live in Newark, NJ, February 1, 1998! Lovely sounding ; great lyrics per usual. I’m very surprised that Tell Ol’ Bill has not surfaced in any of these lists – this has to be in my top 3 or 4 (Huck’s Tune is also conspicuous by its absence…). Both those tracks were recorded in the 10s (2010s) if I’m not mistaken. Tell Ol’ Bill – 2005, Huck’s Tune – 2006. Also, Cross The Green Mountain – 2002. I’m sure those will appear here and there on the next list. I’m sticking to original songs, and as has been pointed out, your previous list for 80’s songs set the precedent by including Dignity (it should therefore also include Born In Time etc), and so this list should include Mississippi. I like Dirt Road Blues & Lovesick, but they’re outside of the Top 10 for me. I still can’t really enjoy MYFML and Red River Shore is hugely overrated in my opinion. It’s a cool outtake, but I reckon it’s ‘classic’ status was somewhat fuelled by it’s prerelease reputation. Thanks for the fun and games. For the 80s I had to cut my list down from 20 or so, but for the 90s if it wasn’t for Time Out Of Mind I’d have a very short list. Thanks Jim for the “just for Fun” list. I (and most voters) have “Dignity” in the 80s poll. A new number 10 ? On second thought (out of mind)…please place Dreamin’ of You in my number ten position! Although I think very highly of World Gone Wrong (maybe even placing it in the lowest reaches of Dylan’s ‘top 10 best lps’), I won’t consider anything from that record or (the somewhat inferior, to my ears) Good as I Been to You, since the songs are not Dylan compositions. And Mississippi, for me, belongs to “Love and Theft” and the next decade. I’m assuming you all are saving Mississippi for the 00s but maybe not everyone is clear about what should count as the 90s, so that may throw the results of a bit, and that “Declaration of Independence” of a song is at the top of whatever decade you decide to include it in. Yes.. I should maybe update my post with some info. on this. I myself did not consider Mississippi for my top 10, even though he did record & release (in 2008) 2 versions in 1997. Thanks for these. For the 1997 version, I think most folks are thinking of the lead off track on TTS with the fabulously evocative vocal and spare setting (many folks’ favorite version), so I’d recommend that one for the Spotify list. 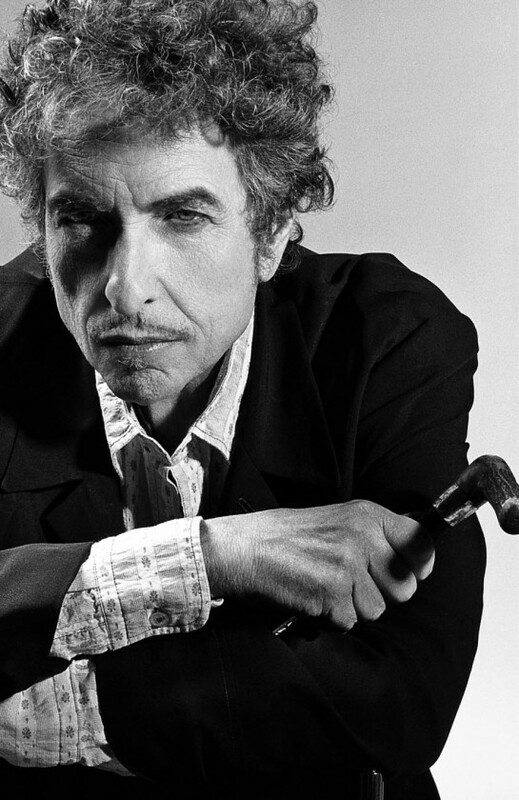 Overall, the 90’s were a very different decade for Dylan, with a long break from songwriting after one poorly received album and dominated by the latter-day “comeback” album and the two great outtakes from those sessions. You could say this was the decade that Bob learned to “seal up the book” for a while and wait for inspiration to strike again. I’ve now included both 97-Mississippi version in the playlist. I didnt consider songs off GAIBTY or WGW – love them, but I dont see them as ‘real’ Dylan compositions. Yes – they’re not Dylan songs, real or not. I thought the premise of these lists was ‘greatest Dylan songs’. World Gone Wrong and especially GAIBTY are super performances though. That’s another list though, isn’t it? Yep – they don’t really fit here for me but each to his own. I’m happy with my 10 regardless. The 2 albums of folk and blues reinterpretations are interesting and important, but nothing matches a Dylan original for me ! Agreed, although at the same time nothing really matches Dylan doing Canadee-I-O or Jim Jones (or Froggie Went A-Courtin’, the best performance on the album and, I would argue possibly his best album performance of the decade). Nice song, but I guess you know that ‘The Lonesome River’ is a Stanley Brothers song.